Plants are photoautotroph sessile organisms; hence, they must respond and adapt to varying environmental conditions in order to optimize light absorption and survive. Physiological and morphological changes ultimately rely on variations in gene expression. Alternative splicing, through which multiple transcript variants are produced from a single gene, is one of the layers of gene expression that can be regulated to change the amount and/or the function of a given protein or non-coding RNA. About 60 % of multi-exon genes from the model plant Arabidopsis thaliana generate more than one transcript via alternative splicing. The increasing availability of transcriptomic data in other plant and crop species support the key role of alternative splicing in plant growth, development, and responses to the environment. Conservation of alternative splicing between plant species indicates preservation of regulated alternative splicing. Alternatively, mutations of splicing factors and splicing signals within and between species activate alternative dormant or poorly selected splice sites leading to different exon combinations and functions. The splicing process is performed by the spliceosome that assembles around splice sites at each intron. Depending on how far their sequences diverge from the consensus sequence, defines the strength of the splice sites and determines their affinities for cognate splicing factors. The interaction between these cis-sequences and the trans-acting splicing factors determines the usage of the different sites and the alternative splicing outcomes. Since these cellular decisions occur co-transcriptionally, changes in chromatin and/or transcriptional machinery will impact on alternative splicing as will the interactions with other post-transcriptional processes. Knowing how these mechanisms are regulated and what the function of the different isoforms is, will help understand a plant’s ability to modulate its responses to the environment. This Research Topic aims to showcase current and novel findings, as well as technical advances, in the field of Alternative Splicing Regulation in Plants. 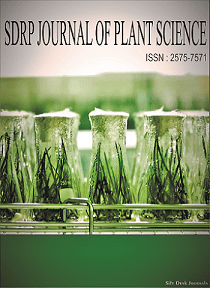 We welcome articles from mechanistic investigations of alternative splicing regulation addressing the function and biological implications of the different isoforms, and also including articles that describe novel methods, bioinformatic tools and resources that address alternative splicing in plants. Submissions of different types of articles (Reviews, Mini-Reviews, Methods, and Original Research) are welcome. Interactive effects of leaf age and inoculum concentration on downy mildew of cucumber plants and the implication of nutrients. The impact of potassium on downy mildew of cucumber and its leaf/soil nutritional status. Nitrogenous Fertilizers – Boon or Bane? INFERIOR CROP PERFORMANCE IN ORGANIC VINE AND OLIVE SECTOR DUE TO THE POOR IMPLEMENTATION OF QUALITY PROCESSES. THE CASE OF KEFALLINIA. Alleviating Effects of Ascorbic acid and Glutathione for Faba Bean Plants Irrigated with Saline Water.